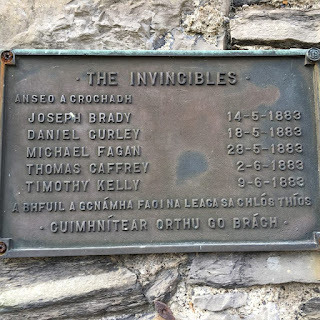 For me, there couldn’t possibly be a group of more tragically romanticised figures in Irish Republican history than the Invincibles, the name alone is something that conjures up images of men who are indestructible, unmoving and burly, throw in hearty nicknames like “skin the goat” and you have the stuff legends are made of. I remember the first time I ever heard of the invincibles; it was years ago, my father was telling me the story of Donegal man Patrick O’Donnell. I grew up hearing obscure stories about people my father deemed to be great Irish patriots, a great story teller he told me of an Irish man who was on a boat travelling to South Africa, minding his own business as my da would put it. Patrick O’Donnell in my father’s version of the story was just an ordinary Irish man and not involved in anything Political at that point. As fate would have it, on the very same voyage was the great Irish traitor and all round rogue James Carey. 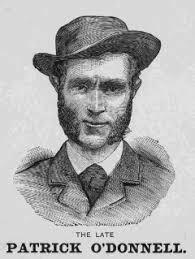 James Carey had been a member of the invincibles and he had betrayed them to the British in an act of snivelling cowardice after the Phoenix Park killings. After he saw to it that his comrades had been executed he was spirited out of Ireland and was travelling under a pseudo name. Patrick O’Donnell and James Carey met on this trip, after a while Patrick O’Donnell figured out who James Carey was, he had read about him in the newspapers and saw a portrait, and in a moment of patriotic fervour, loyalty to Ireland and courage he executed him on board the boat! There was jubilation in Ireland, bonfires were lit to celebrate, Patrick O’Donnell was a national hero and everyone rejoiced at the ending of Carey's miserable treacherous life. Patrick O’Donnell was arrested, convicted and executed for killing the traitor. This story I remember vividly, I proceeded to read everything I could find about Patrick O’Donnell and of course naturally everything about the invincibles also. 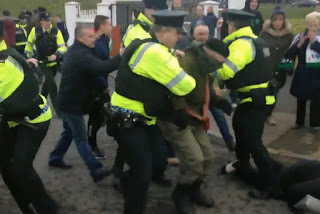 The invincibles were a radical splinter group from the Irish Republican Brotherhood, active for only a handful of years in Dublin their biggest and most well-known operation was the Phoenix Park assassinations. They had settled on a plan to kill the new Permanent Under Secretary Thomas Henry Burke at the Irish Office, on the chosen day Lord Frederick Cavendish was walking with Burke in the Phoenix Park when the invincibles attacked. Using what they had at their disposal, knives, they struck and killed both men. 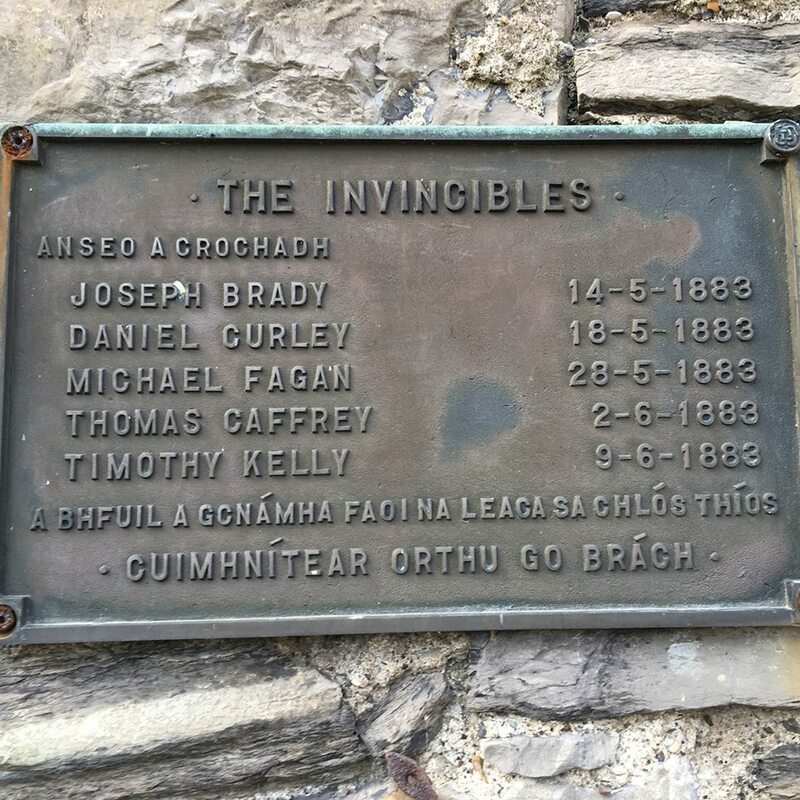 Invincible members Joe Brady, Michael Fagan, Thomas Caffrey, Dan Curley and Tim Kelly were convicted of the killings and were hanged and buried in the grounds of Kilmainham Gaol in Dublin between 14 May and 9 June 1883. Their bodies to this day are still there in convicts graves, in an area closed off to the public. They have already got the ball rolling, having contacted the Office of Public Works who would oversee such requests, the response to say the least is disheartening, with Kevin Moran the minister for this office not even believing that their resting place is at all inappropriate. This committee and reading about their campaign is what spurred me to write this blog, I have an affection for the Invincibles as I believe a great many Irish people do. I think all Republicans can get behind this campaign, it is only right that Irish Patriots be laid to rest in a place befitting their status and importance to the Irish Independence struggle. I hope that going forward should any rallies or events be announced that the numbers are out in force to support them. 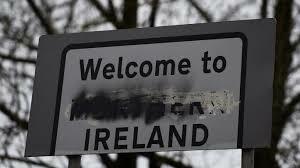 A hard border going to re-ignite the “Troubles”? give me a break! I have been reading various articles over recent weeks and months on Brexit and the “Irish Issue” most of them seem to contain subtle threats making references to how Brexit could re-ignite the “Troubles” in Ireland. The idea is that Irish Republicans will go back to war if the British tighten up their Border here, that a hard border will be a target and that all of a sudden hundreds, if not thousands of Irish people who are currently munching on Friday night Pizza and watching Netflix will suddenly get the urge to go and fight to get rid of it. The last few years have seen many incidents of disruption and harassment by the RUC/PSNI of participants in Republican commemorations. Dozens have been arrested, charged, fined and imprisoned for remembering their patriot dead in public. Although this is not a new thing for veteran Republicans the heat has definitely been turned up of late after a period of mere simmering hostility from the state, comparatively speaking. 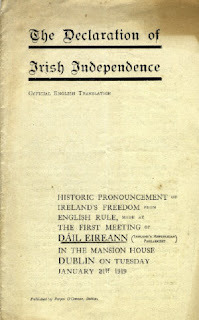 The attempts by Freestate parties such as Fianna Fail and others to introduce an “independence” day for Ireland is more than a tad premature and an exercise in historical revisionism. Firstly, and most obviously Ireland is NOT independent, Ireland is a partitioned Country, 6 of its counties remain firmly under British rule, we are still very much occupied by Britain militarily and culturally. The grip of British Rule is steadfast in the North and its remnants very much remain in the rest of the Country. I read with a mix of amusement and annoyance that The Seanad had passed a bill which sought to designate 21 January as the Irish Declaration of Independence Day.